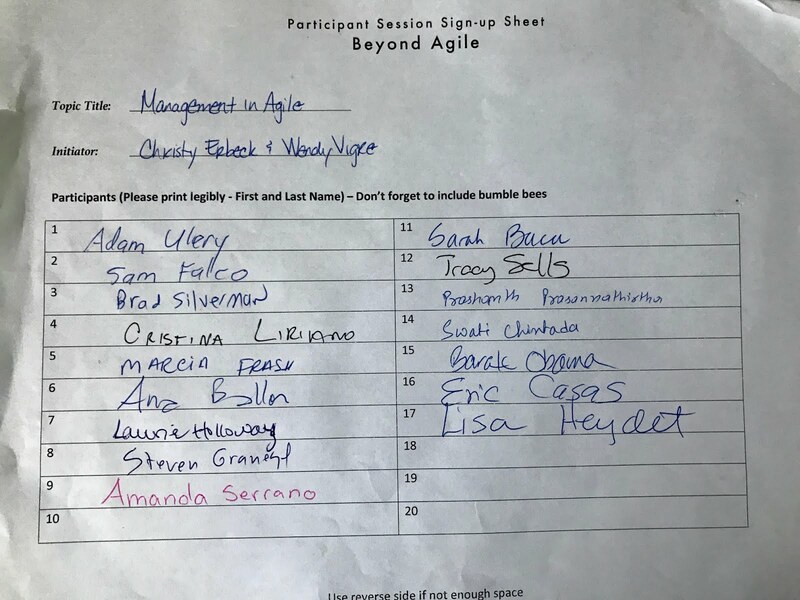 Prepare for Agile Open Florida 2018! 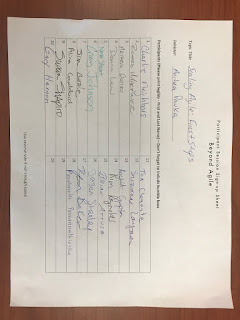 We will post updates to this site as often as we can on Friday, Oct 26, 2018. 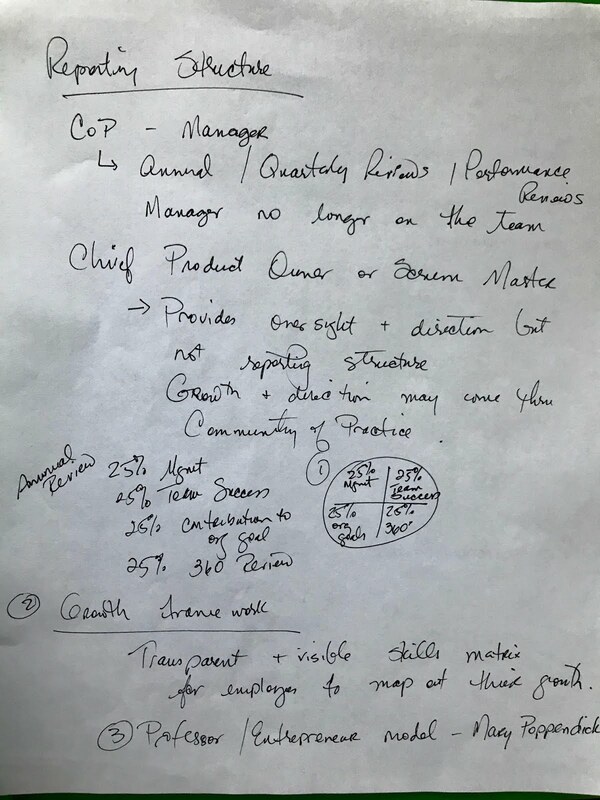 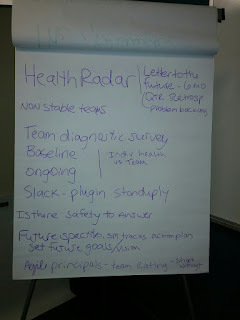 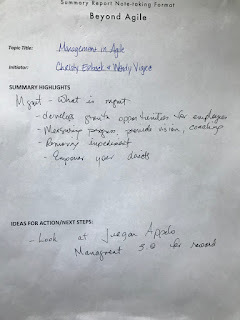 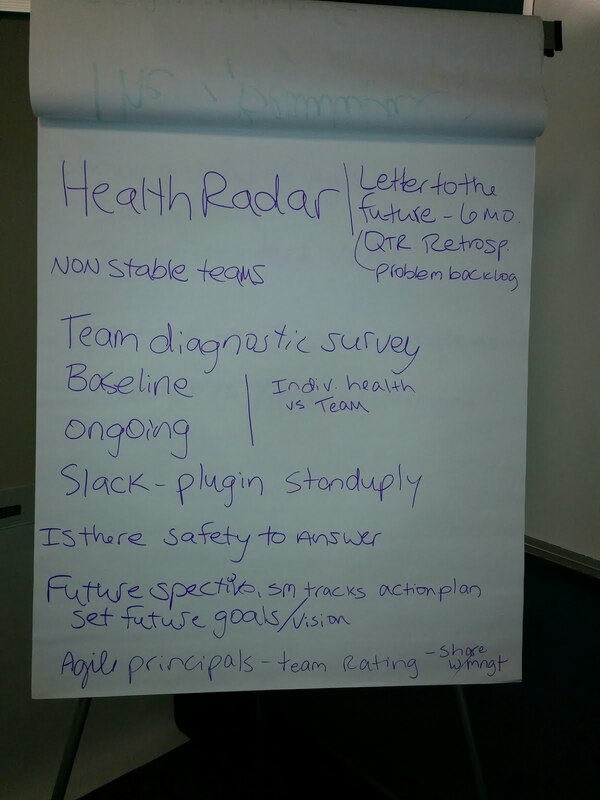 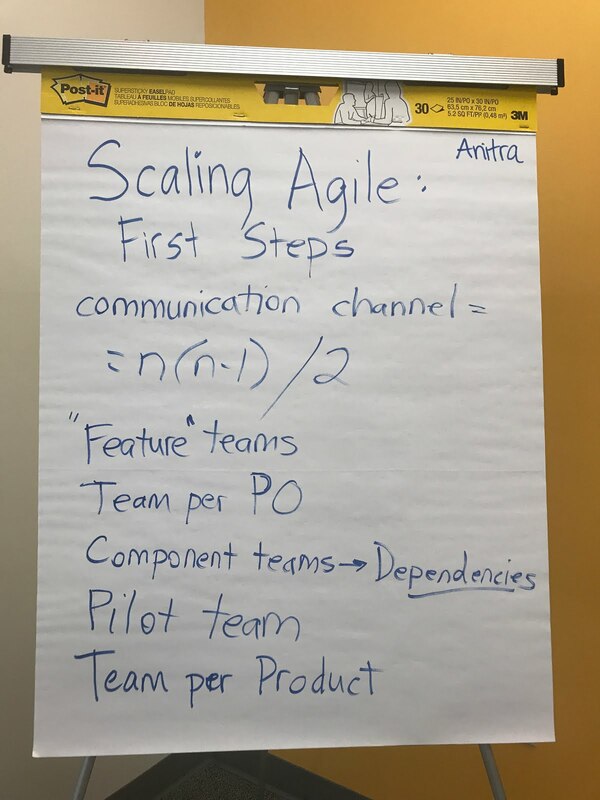 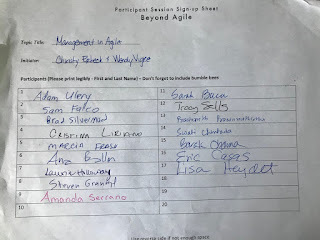 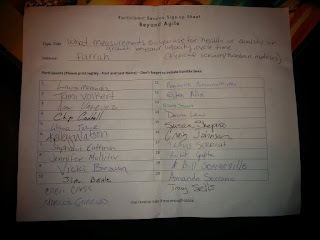 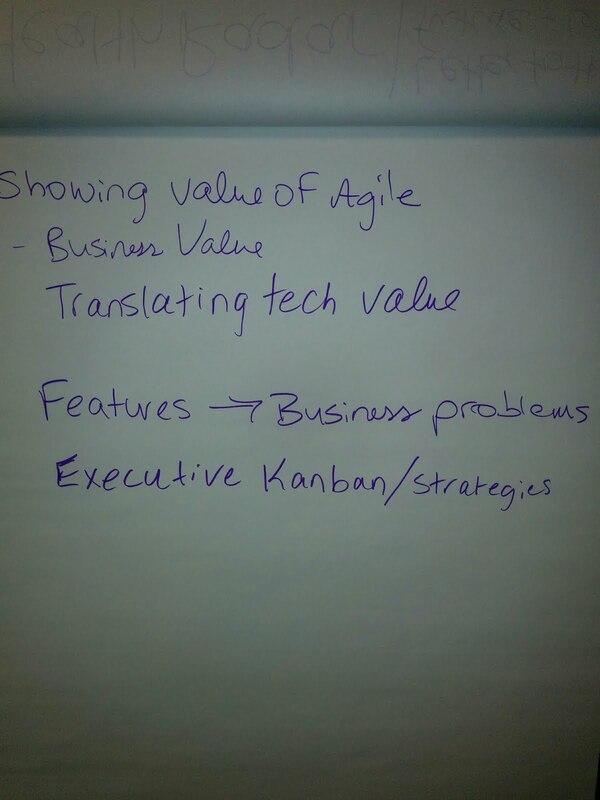 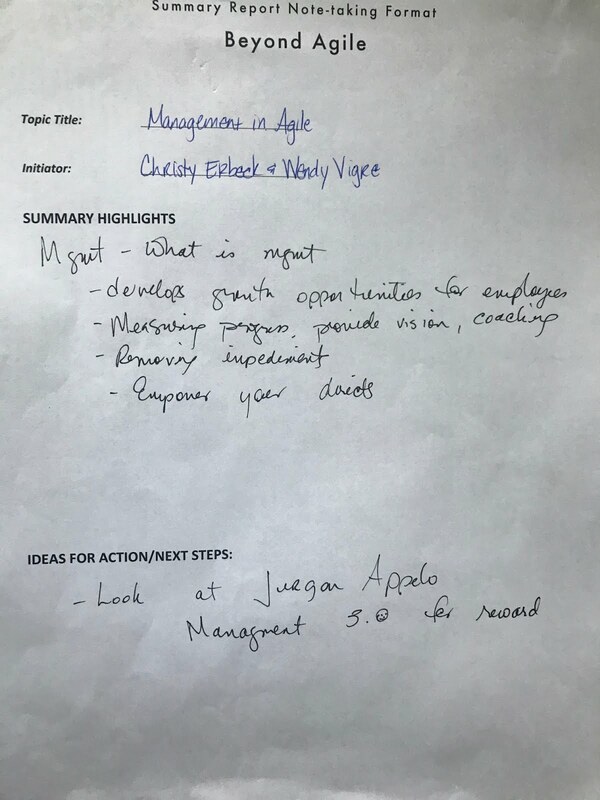 Attached are photos of the notes and participants list from my session at Agile Open Florida. Why even bother with estimating? 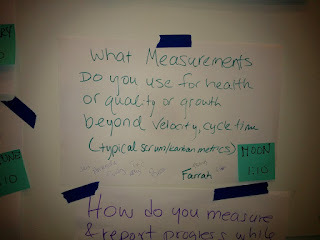 Who gets involved with estimating? 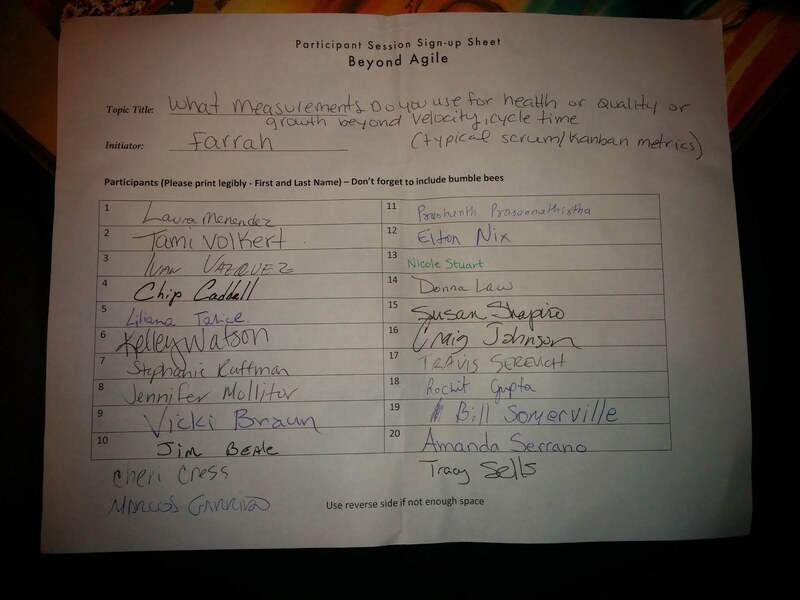 Whole team, part of team? How did we do on that estimate now that the work is done? 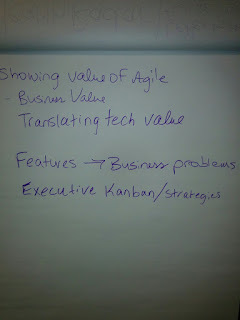 Kanban - try using a mean or average point value for every story. 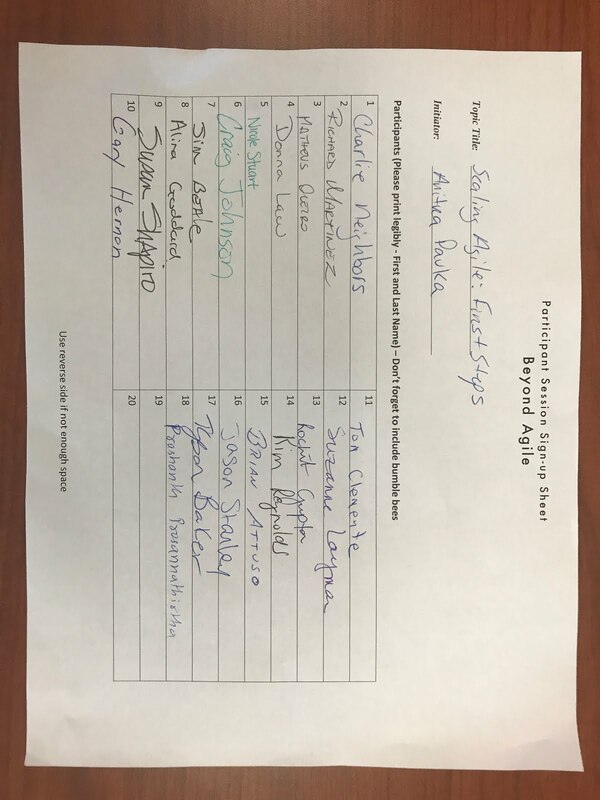 Do this if you have data to support it.